It was my fault! I approached the book with a preconceived notion and I realized by the end that it was a completely erroneous thing to do. It was gross injustice to the book and the writer. 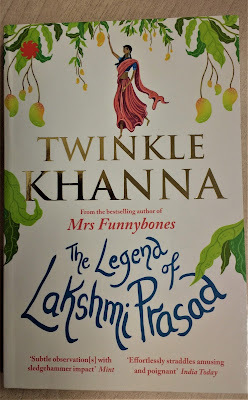 When I accidentally came upon the first book of Twinkle Khanna, I found it to be very funny and hilarious. I therefore, somehow assumed that she would continue in that genre. But the assumption was completely shattered by the time I came to the end of the first story in her book. I still kept searching for her razor sharp humor and kept trudging through the second and third story for a similar thread. However, by the time I came to the last one which was actually the only story that stood out for me, I realized this is something I had not expected at all. Twinkle Khanna has managed to surprise her readers a second time. If in the first one, it was for her witty and satirical style, this one was for her astute sense of seriousness in bringing out social issues. Issues that people were not comfortable speaking out. Issues that were considered taboo in public domain. The book is a combination of 4 different short stories picked up from news articles in recent times. However, since I was not aware of this when I started reading, I could not make out when one story finished and when the second one started. The first story is about Lakshmi, the young girl who brings about a change in the status of women by empowering her through wealth in the form of owning trees. It was a good story by all means but was not gripping enough for me. It just skimmed past me and ended quite abruptly. Second story starts with two retired elderly sisters having a relaxed routine. The story is about the one called Noni Appa who is unable to express her inner desires even at this stage of life. She is still saddled with the thought of how she wants to be viewed by others around her. A near death experience makes her realise that it is more important to enjoy the moments and grab happiness when life offers it to you. The third one that completely flew over my head is based on a Malayali Christian girl who is twice unlucky in marriage. The first time, she takes the plunge and second time, she goes ahead with her parents’ wishes but still lands in problems. The story of Elisa Joseph is yet another washout. Twinkle really made an effort in understanding the Malayali Christian culture with the correct names and churches and rituals, the story itself did not stand out very clearly. The fourth one is about Bablu Kewat, a person who feels concerned about the unhygienic condition of sanitary napkins used by his wife and the village girls. He makes all efforts to invent a machine that can shell out low cost sanitary pads for rural women. In that struggle, he loses everything from his wife, mother, house, his work, image etc. but in the end comes back victorious. Though it is an exact copy of the life of Muruganandan, the story stands out and the way it is written keeps the interest of the reader going on till the end. So, I would give her a rating of 2 stars out of 5 for this book.